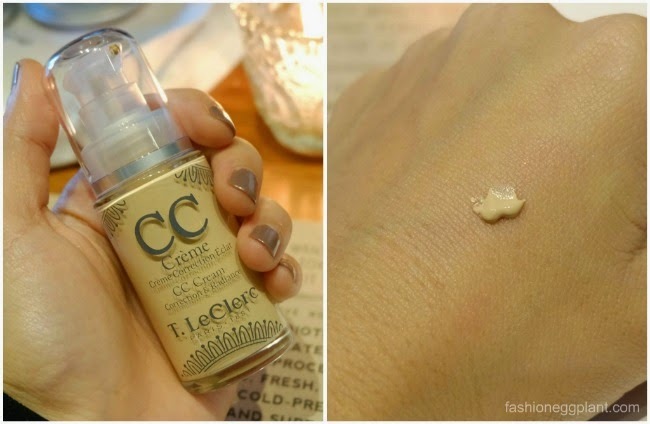 t. le clerc fall 2014: the "winter touch"
Remember how I mentioned that I met up for lunch with the pretty ladies of Rustans Beauty Source last week for an advanced preview of their Fall offerings (see here)? I didn't just get to play with one make-up brand but in fact 3! Second in line is another favorite of mine because of its attainable luxury factor. Retailing for only P795, these are one of the best lipsticks you can buy for your money this season. Not only do they protect, add moisture and smooth out fine lines and imperfections, they also come in 3 sensual, high gloss finish shades that are suitable for everyday wear: BB Rouge, BB Beige (my fave), and BB Rose. Paris l'Hiver Pressed Powder (limited edition) - I always take packaging into consideration when buying press powders because I'm constantly whipping them out (and I like pretty things) so I want it to look attractive especially when I'm at a party. Le Clerc's is one of the prettiest I've seen with an affordable price tag and quality product inside. Retailing for only P1450, it's a must-have for those with oilier complexions and those who find their faces shiny towards mid-day. It's a matte powder that works wonderfully in reducing shine and leaving your face with a soft, velvety appearance. Comes in one universal shade: Beige Clair that corrects and evens out complexion flawlessly. Duo Yeux - a nifty new product that combines your eyeliner and eyeshadow in one compact tube. Best part? The applicators they come with are super easy to use. 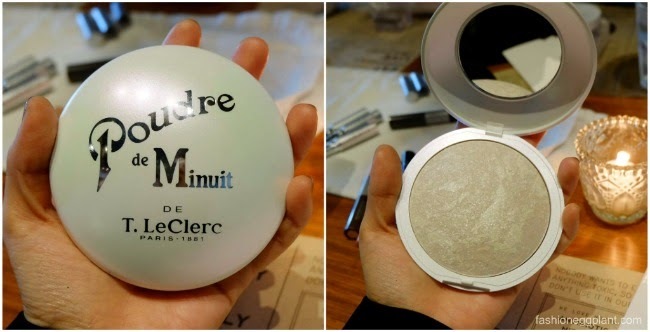 Poudre De Minuit (limited edition) - an all-around shimmer powder that can be used not just on your face but on your body and hair as well for a subtle satin finish. The look is iridescent and slightly metallic. Perfect for the upcoming holiday season plus the size is large and generous so scrimping will never be an issue. Mascara Signature - an complete collection devoted entirely to mascara. 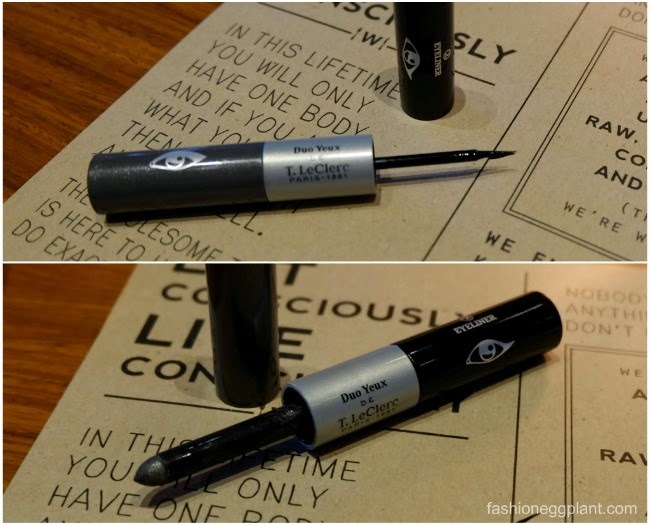 These new mascaras are supposed to have a "WOW" effect after just one stroke. It immediately lengthens and thickens lashes + the extra large silicon applicator brush reaches even the farthest part of your lashes effortlessly in a neat manner without clumping. CC Cream - skin cream and make up in one. It's a complexion enhancer that melts upon contact with the skin. It moisturizes, corrects, evens out skin and protects (SPF20) for instantly radiant skin. Fard a Joues Poudre - the perfect blush for a fresh look. Composed of 3 different rose petal shades, it adjusts to any complexion. T. Le Clerc's new Fall/Winter 2014 collection is now available at The Beauty Source of all Rustans Department Stores nationwide. thanks, mwah mwah! sayang we didnt get to chat more nung ippudo!